A pressure group is a collection of like-minded people who seek to influence political decisions and bring about law reform. They monitor existing laws and their application; suggest changes to the law; and attempt to bring about these changes by employing a range of strategies. 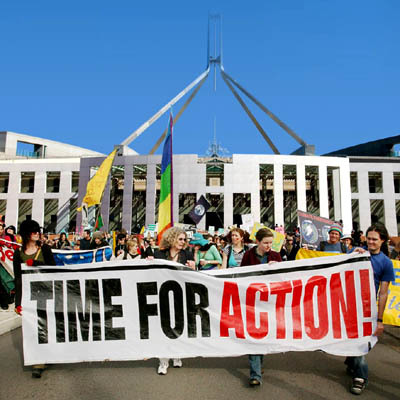 Pressure groups are also known as lobby groups, interest groups or advocacy groups. 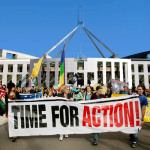 Some pressure groups, such as Greenpeace and Amnesty International, operate internationally and seek to bring about law reform in many countries. Other pressure groups, like the Royal Society for the Prevention of Cruelty to Animals (RSPCA), exist at a state. There are also local and community-based pressure groups, such as Blue Wedges and Save Albert Park in Melbourne. The majority of pressure groups are single-interest groups because they are mainly or only concerned with one particular issue or area of law. Pressure groups may exist permanently or they may dissolve or disband once they have succeeded or failed at bringing about law reform. Some organisations might be considered pressure groups, even though they are formed for or chiefly concerned with other functions. Unions, for instance, exist to represent the rights of their individual members – however, unions can also act as a powerful pressure group. Business groups such as the Business Council of Australia (BCA) and the Australian Chamber of Commerce and Industry (ACCI) represent the interests of companies, large and small businesses and shareholders. These groups can seek changes to the law that benefit their members, such as the relaxation of corporate regulations, a reduction in company tax or changes that will improve trading conditions. Professional organisations like the Australian Medical Association (AMA), which represents the nation’s doctors, might also use their influence to seek law reform in relevant areas. There are advantages and disadvantages to the contribution of pressure groups. These groups enable ordinary people to participate in law-making and law reform; they allow democratic circulation of ideas and values; they provide minority groups and interests with a voice; they also provide the government with an alternative source of information and some indication of how the public views particular issues. However, pressure groups can sometimes exploit the media or utilise methods that create a false impression of the level of support they enjoy. The influence of these pressure groups is sometimes not reflective of broader public attitudes.